A banker as a hero or a villain is unusual, but C.D. Waggoner may have been both. In 1929, when the great stockmarket crash occurred, Waggoner was president of a small bank in the dying mining community of Telluride, Colorado. By manipulating several New York banks, Waggoner was able to save the deposits of everyone in his community. His fame soon became legend. He was called "the Robin Hoof of the West." But there was a seedier side to the tale. Waggoner had a gambling problem. Was he just covering a theft? 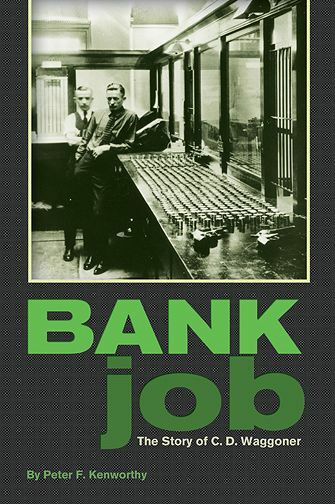 Author Peter Kenworthy was a banker in Telluride when he researched "the bank job of the century."